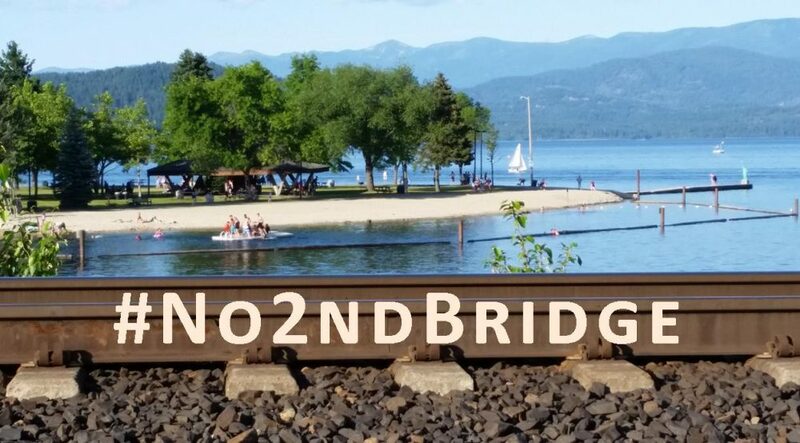 Do not miss this upcoming opportunity to support the robust activism of Idaho’s courageous challengers of the government, corporate, and industrial sources of climate chaos, for voluntary admission contributions of only $5 or greater. WIRT offers our hearty thanks to Tom Bennett of Sweet Salt Records in Salt Lake City, Utah, for co-coordinating the multiple entertainment aspects of this event and arranging live performances by musicians traveling to Moscow from Chicago and Salt Lake City. 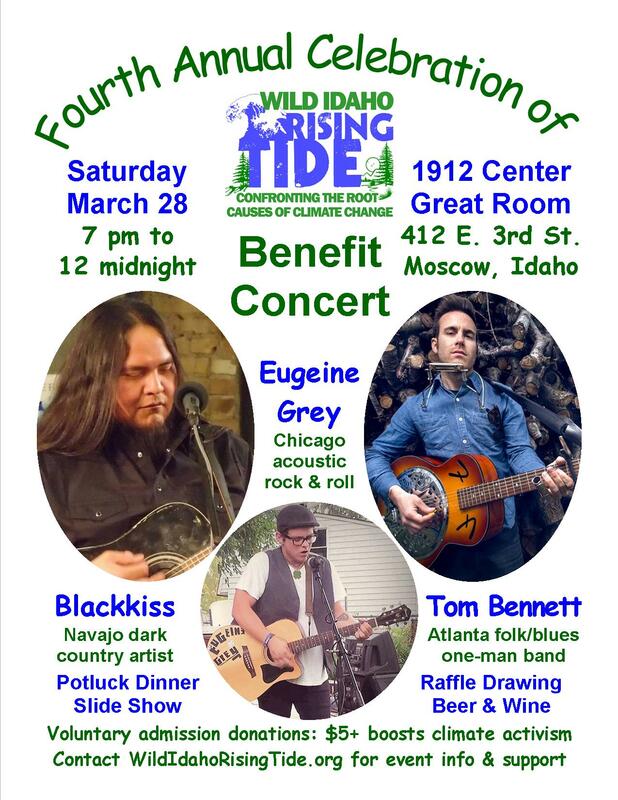 For further information and/or to assist with preparing and staging WIRT’s big night, please visit the WIRT website and facebook pages, contact WIRT at wild.idaho.rising.tide@gmail.com or 208-301-8039, and print and post the color Fourth Annual Celebration of WIRT Flyer. Pete Sands, the Navajo dark country singer and musical artist of Blackkiss, was born and raised on the Navajo Indian Reservation. While a young child, his family experienced a major catastrophic tragedy that sent him to live with his grandmother, who taught him the ancient, traditional ways of his people, deep in the heart of the reservation. Many years attending Navajo ceremonies, hearing the mythologies, and listening to elders sing the old songs and tell related stories painted amazing, grand pictures in his imagination. At an early age, Pete already had an ear for the Man in Black, Johnny Cash, whose voice and style reminded him of the elders’ storytelling singing. Bringing the sounds of the desert to Salt Lake City, Blackkiss came into fruition in late 2006, when a good friend bought Pete an Epiphone guitar, and he wrote his first song called Burning, about a dream waking up in the middle of Armageddon. The group initially started as a heavy metal band, after Pete recorded and distributed his first demo, which drew a Japanese friend to join. They met other musicians as they played, but eventually went their separate ways. Blackkiss continued as a band and a solo act, during years on the road all over the country, chasing jobs, spending time in jail, and finally returning to Salt Lake City in 2010. In 2012, Chris Aguilar helped Pete record in his little studio, and Blackkiss’s music about the down-and-out, beaten-down, overlooked, bullied, and other outcasts has gone viral through videos of new songs full of creative ideals and free range. Check out the Blackkiss/Pete Sands video channel and facebook page. A mind-altering, acoustic singer-songwriter from Lombard near Chicago, Illinois, Eugeine Grey brings his unique sound to a new age of performers. Blending alternative rock, punk, and blues, he uses his voice to overlay his guitar melodies, giving listeners an overwhelming experience of his own genre of music. Every tone he plays on his guitar, every belt and howl from his vocals, and every intricate story he tells with emotion on and off stage show his distinctive writing style and time put into his songs. Currently working on completing his debut album, Eugeine Grey offers a sample of his sound through audio and video recordings on his website and YouTube channel: Don’t Wanna Die Young, All in My Head, and Life is Good. Also see his facebook page. A “foot-stomping, soul-swaying” folk/blues one-man band from the Atlanta, Georgia, area, Tom Bennett plays a Fender resonator guitar, harmonica, a suitcase drum, and sings. Touring relentlessly and performing multiple times in 36 states since May 2014, he is known for his adventurous travels that find him riding freight trains, taking buses around America, staying with East Los Angeles gang members, and assisting with wrangling of an 11-foot alligator off the Georgia coast. Previously a Boys and Girls Club director with a strong activist background in humanitarian efforts and community causes, Tom now lives in the southern Utah desert, outside the polygamist enclave of Colorado City. Founder of Sweet Salt Records in Salt Lake City, Tom began playing guitar in April 2013, and soon discovered unknown music in his blood, when his grandmother told him that his great-grandfather, folk singer Roy Ferguson, appeared once and died soon after his performance at the Grand Ole Opry, at age 53. Quickly acquiring professional proficiency and recent, feature articles in City Weekly Magazine and Utah Stories Magazine, Tom abounds with talent clearly apparent in his “combination of evocative lyrics, haunting voice, and the intensity of his true performances.” His most notable gigs include singing his original song, Governor, We Cannot Breathe, for a record 5,000 people at the Clean Air, No Excuses 2014 Rally at the Utah Capitol. He has opened concerts for Lukas Nelson (son of Willie Nelson) and Larry and His Flask, played multiple shows for Park City Television and Ninkasi Brewing in Eugene, and performed at the Hempstalk Festival in Portland, the Moab Music Festival, and at the March Against Monsanto and radio and television stations in Salt Lake City. Visit Tom’s facebook page and enjoy his version of Sharecropper’s Blues and his compositions Governor, We Cannot Breathe and Roy’s Song, about his great-grandfather.